Rhodium Group is a leading independent research provider. We combine economic data analytics and policy insight to help clients understand global trends. Rhodium Group has decades of experience advising CEOs, portfolio managers, philanthropists and policy leaders. In addition to our stand-alone analyses, we maintain long-standing collaborations with leading think-tanks and universities in the United States, Asia, and Europe. Our work is regularly cited by media and government bodies, and consulted by firms, investors and policymakers worldwide. Key areas of Rhodium expertise include Chinese economic, social and political development, energy and climate change, India’s emergence as a global player and advanced economy restructuring. Led by co-founder Daniel Rosen, Rhodium has one of the largest independent China research and advisory teams in the private sector, with a consistent track record of producing insightful and path-breaking analysis. Rhodium China offers tailored advisory services to the private and public sectors, helping clients to understand and anticipate changes in China’s macroeconomy, politics, financial and investment environment, and international interactions. Rhodium China supports its clients and research programs with purpose-built proprietary databases. These include metrics on China’s outbound direct investment transactions, global direct investment into China, the pace and direction of market opening and policy reforms, and economic and business cycle activity and levels. Rhodium uses a credit-oriented approach to generate insights on financial markets for institutional investors and has a strong record of anticipating monetary, currency, and financial regulatory policy changes impacting the global investment community. For 20 years Rhodium principals have applied a geostrategic lens to macroeconomic and policy trends to produce sector-specific insights and advice for the corporate, governmental, and non-profit decision-makers. Rhodium’s Energy & Climate team analyzes the market impact of energy and climate policy and the economic risks of global climate change. Led by Rhodium co-founder Trevor Houser, this interdisciplinary team includes policy experts, economic analysts, energy modelers, data engineers and climate scientists. Their research supports decision-makers in the public, financial services, corporate, philanthropic and non-profit sectors. By combining policy expertise with a suite of detailed energy-economic models, Rhodium helps clients understand the impact of energy and climate change policy on economic output, energy markets, and greenhouse gas emissions. Through its US Climate Service, Rhodium provides regular analysis of federal, state and local legislative and regulatory developments. Clients also receive direct access to proprietary Rhodium energy market and emissions data, as well as the team’s regular federal and state energy and emissions forecasts. The Energy & Climate team partners with Rhodium’s China, India, and Advanced Economies teams to analyze the energy and emissions implications of major macroeconomic and policy developments in other major economies as well. Rhodium is a founding partner of the Climate Impact Lab, a collaboration of leading research institutions combining climate, economic and data science to quantify the risks climate change presents. Building on this work, Rhodium provides evidence-based, asset-level data to companies, investors, and regulators seeking climate risk information. With over one billion people and vast latent productivity growth possibilities, India has unmatched potential to change global economic outcomes. While India is already delivering higher growth rates than ever before, its future performance is uncertain. The nation could match or exceed the shock China delivered since 1990, but its path will be profoundly different. Understanding the mix of growth potential, political impediments, and breakthrough policymaking possible today requires high-level involvement in the Indian political conversation married with a deep understanding of development economics and business leader thinking. Rhodium’s India team is led by Pramit Pal Chaudhuri, one of India’s most highly-respected global economic and political relations analysts. A widely recognized thinker in policymaking circles and a member of India’s National Security Advisory Board, Pramit is the foreign editor at the Hindustan Times and publishes extensively on economic and security affairs. Rhodium’s Advanced Economies team analyzes the shocks and longer-term challenges confronting higher-income advanced economies. To assess the commercial and political dynamics facing incumbent economic leaders, Rhodium takes a multi-disciplinary approach derived equally from quantitative analysis, political assessment and careful attention to individual policymaker contributions. Senior Advisor Jacob Funk Kirkegaard leads Rhodium’s advanced economies team. He speaks widely on topics including debt sustainability, pension and healthcare systems, cross-border trade and investment, productivity, demographic trends, immigration, and labor market developments. 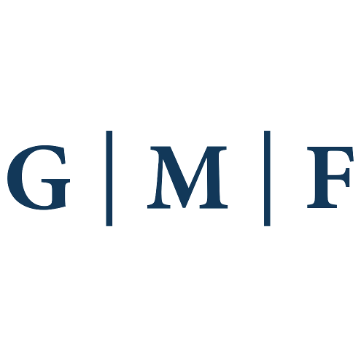 The German Marshall Fund partners with Rhodium for research and analysis on transatlantic issues. 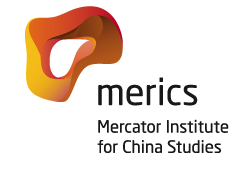 The Mercator Institute for China Studies (MERICS) partners with Rhodium to explore investment patterns in Europe, and elsewhere. The Center on Global Energy Policy at Columbia University’s School of International and Public Affairs partners with Rhodium to produce reports on market trends and policies. 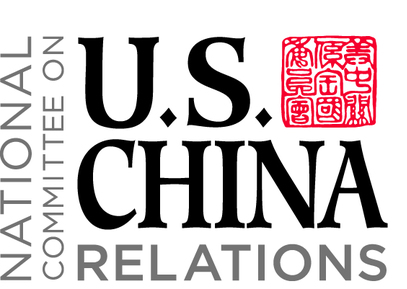 The Center for Strategic and International Studies works with Rhodium experts as part of the center’s Energy and National Security Program and the Freeman Chair in China studies. The US-China FDI Project is a multi-year research initiative that aims at providing greater transparency on FDI (foreign direct investment) flows between China and the United States. The China Dashboard, a joint project of the Rhodium Group and the Asia Society Policy Institute, tracks China’s progress toward its self-defined reform objectives in 10 essential economic policy clusters. The Climate Impact Lab team combines experts from the University of California, Berkeley, the Energy Policy Institute at the University of Chicago (EPIC), Rhodium Group, and Rutgers University. EPIC provides core financial and administrative support for the Lab. The Climate Impact Lab team combines experts from the University of California, Berkeley, the Energy Policy Institute at the University of Chicago (EPIC), Rhodium Group, and Rutgers University.